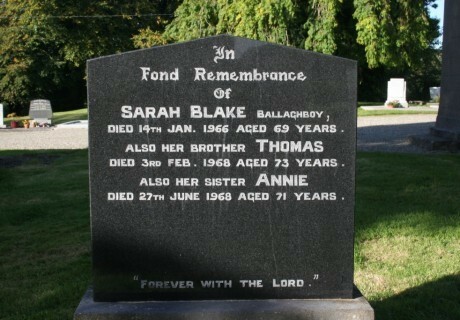 In fond remembrance of Sarah Blake Ballaghboy died 14th Jan. 1966 aged 69 years. 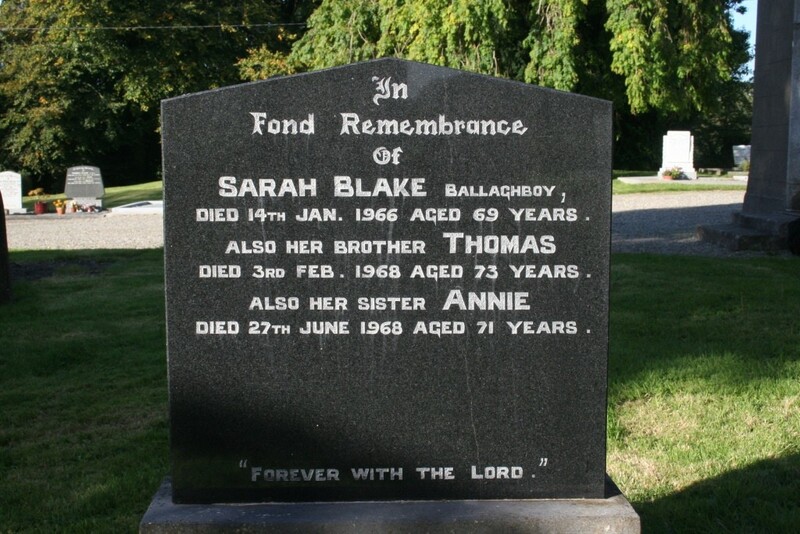 Also her brother Thomas died 3rd Feb. 1968 aged 73 years. Also her sister Annie died 27th June 1968 aged 71 years.